Are you buying or selling a property in Kingston? You may need a Kingston building surveyor to conduct a survey and issue you with a report highlighting the condition of the home. Full Building Survey: The most comprehensive coverage of all physical elements of the property. This is the most popular and recommend report, only delivered by top chartered surveyors. Our Kingston chartered surveyors are members of RICS (the Royal Institution of Chartered Surveyors). Being chartered, we’re able to deliver the highest-level structural survey reports, the Full Building Survey (RICS level 3). A Full Building Survey report gives a far greater insight into the structural health of a property, enabling property owners to make informed decisions when buying new properties. We deliver easy-to-read, jargon-free reports with an overview of the property. Our reports are delivered in a matter of mere days and comes with advice from your Kingston surveyor. This is one of the many reasons why Prinsegate are the Building Surveyors Kingston residents choose. Why should you get a building survey report for your Kingston property? For most people, the most expensive purchase they will ever make is their home. It’s therefore important to know exactly what you are buying and getting yourself into. An owner will certainly benefit from getting expert advice on the condition of their property – whether that’s to live in it, rent it out or sell it. It’s important to understand that a valuation is not a building survey, as a valuation is used for the benefit of your lender to value the property only, whereas a building survey assesses the condition of the property, largely for your own personal benefit. Different homes can allow for different levels of surveying, particularly if the property you are looking to buy is big, old or complicated. In such a case, a full building survey is definitely the correct one for you. This is known as a level 3 report and provides you with an in-depth analysis of the property and its current condition along with advice on defects, repairs and maintenance options. However, the safest option is to choose a full building survey for any property you intend on purchasing. The cost of more detailed reporting is negligible relative to the investment of a lifetime. 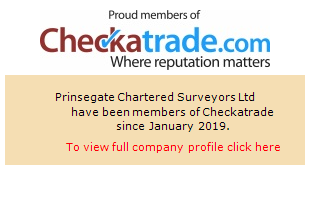 Why choose Prinsegate Kingston Building Surveyors? Competitive prices: Not only do we deliver our services to the highest of standards, we have competitive prices. Contact us to discuss what you’re looking for and to get a quote.